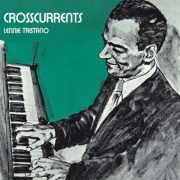 Born 100 years ago (March 19, 1919), pianist Lennie Tristano has represented controversy for most of that century. Nobody can deny that he grasped the cutting edge of early bebop and ably took it in his own idiosyncratic, ingenious direction. That direction had some disturbing elements, though: Tristano had little use for the blues, called Thelonious Monk “just about the dumbest pianist I’ve ever heard,” and was and is seen—not unfairly—as attempting to erase the music’s African-American distinction. Though he died in 1978, the backlash against him has never entirely faded. Yet even critics like Miles Davis had a certain grudging respect for Tristano and made use of his ideas and his disciples. (On Birth of the Cool, Miles did both.) For all his failings, he had an unfailing genius. He strove for what he called “pure improvisation,” music that was not only spontaneous but abhorred the use of previously formulated licks, passagework, and other devices. Similarly, he was a determined through-composer, writing tunes that proceeded forward without repetition or patterns; counterpoint was a particular specialty. And his rhythms! He insisted that his bassists and drummers play as basic a 4/4 swing as possible, with no ornamentation, but then had his ensembles layer polyrhythmic cycles on top, or just rejigger the syncopations. Though he spawned such protégés and followers as pianist Ethan Iverson and saxophonists Lee Konitz and Mark Turner, Tristano was a truly unique cat. Here are 10 tracks that prove it. It almost seems too easy. “Wow” is the first track recorded at the first session for what would be Tristano’s most celebrated recording, Crosscurrents (on which “Wow” would also be the opening tune). But there are few pieces that are as totally representative of his explorations. Everything about “Wow” is complex. Its melody is long and linear, revealing itself in layers (which is especially tricky because Tristano and his sextet play it very fast). Its harmonies are intricate and unpredictable, leading some musicians and listeners of the time to suspect that Tristano might be atonal. If it swings nicely on the backs of bassist Arnold Fishkin and drummer Harold Granowsky, the soloists (saxophonists Lee Konitz and Warne Marsh, guitarist Billy Bauer, and especially Tristano himself) throw down more abstract rhythms that challenge the plugging 4/4. Moreover, how charming is the whole tune? Built on “You Can Depend on Me,” it has hooks everywhere, from the unison squiggles in the head to the traded eights just before the end. Check the price of Crosscurrents on Amazon!